Book Review: Would You Do That to Your Mother? Jeanne Bliss's new book would be a perfect addition to your company's customer experience book club. The format of Would You Do That To Your Mother lends itself well to discussion. There are enough practical ideas for improving your customers' experience that you'll surely find something to implement. 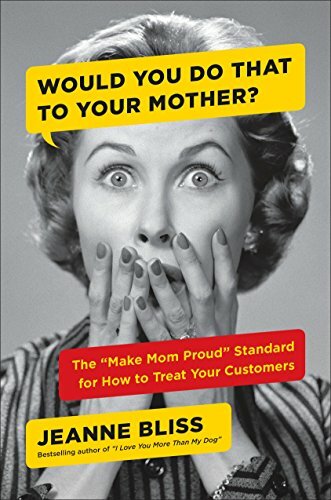 The book asks you to imagine your mom as your customer. What type of experience would you want her to have? 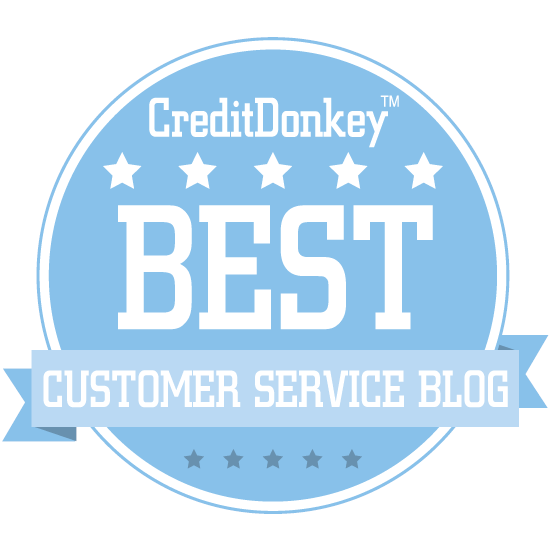 How can you apply lessons learned from Mom as a kid to make your customers' lives better? A sign at Einstein Bagels encouraging customers to behave the way mom taught us. There are four principles described in the book. Each comes with clear descriptions and many examples of what Bliss calls "Make Mom Proud" companies that are using the principles to succeed. This principle means hiring people who fit with your organization's culture, and then enabling them to bring their best self to work each day. One example Bliss shares comes from Vail Resorts, a company that runs ski resorts. It has banned the words "Our policy is" and other trigger words that could make a guest angry in a tense situation. Employees are instead empowered to provide a variety of goodwill gestures to make things right such as free lift tickets or a complimentary meal. The idea here is to remove friction between your customers and your business so it becomes easy to do business with your company. If you don't already know this, removing friction is becoming a huge trend! It's the focus of Gopher Sport, winner of ICMI's 2018 Global Award for Best Small Contact Center. Shep Hyken's new book, The Convenience Revolution (October 2018), is written entirely around this concept as well! Bliss gives the example of Casper's 100-day trial period for new mattresses. The company realized it's difficult to pick out the perfect mattress by lying on several options in a store for a few minutes each. So Casper gives customers 100 days to try return their new mattress for a full refund if they don't like it. The third principle is based on the concept that you are more likely to get what you want if you help other people get what they want. 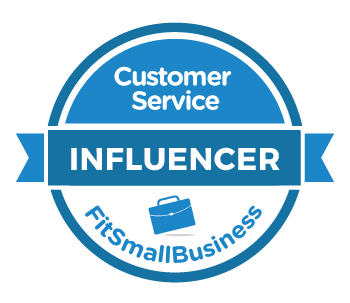 In other words, Bliss describes "Make Mom Proud" companies as having a customer service vision. This is a shared definition of outstanding service (or an outstanding experience) that gives every employee a clear and unified purpose. Ikea is a terrific example shared in the book. As a customer myself, I know how Ikea makes it easy to find functional, stylish furniture on almost any budget. Walk into any Ikea store and you can see evidence of this vision in nicely-appointed rooms decked out in incredibly low-priced furniture and accessories. The fourth principle focuses on companies sticking to their values. This helps customers learn to trust companies since they know what they stand for and can trust them to remain consistent. An example that really stood out in this chapter is Lemonade Insurance. One of the values the company operates under is trust, and it has designed its insurance claim process to demonstrate that. Customers filing a claim can skip a lot of paperwork and audits and simply record a short video of themselves taking an honesty pledge. I hadn't heard of Lemonade Insurance before reading Bliss's book, so I had to check them out. The story of the company processing and paying a claim in just three seconds is incredible. Would You Do That To Your Mother? is a thought-provoking guide to giving your customers a better experience. The writing style easily lends itself to a company book club, where you can read a chapter, discuss the principles, and identify ways to implement the concepts in your own organization. It's currently available on Amazon or get bulk discounts at 800-CEO-READ.